Join us at the 2019 Student Awards Recognition dinner as we recognize students for their academic accomplishments. The 25 Year Club was founded in 1967 by OSU President James J. Jensen to honor those who have provided 25 years of employment service to OSU. Celebrating Undergraduate Excellence (CUE) is an annual showcase for OSU undergraduates to present their research, scholarship and creative projects to the broader university and Corvallis community. Effectively investing our resources in the borrowables program saves all of OSU money. Each year, check-outs result in almost $100,000 worth of savings to departments around campus. 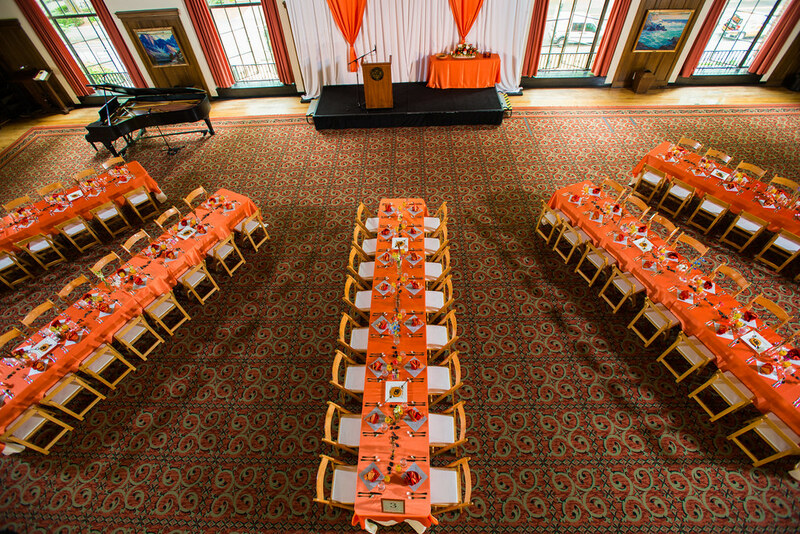 University Events manages projects for the President's Office and University Relations and Marketing, and we work closely with the OSU Foundation and the Alumni Association to maximize opportunities to celebrate the Oregon State accomplishments. We also offer support and guidance to the campus community, including full-service event planning, answering protocol questions and providing resources to ensure a successful event. Celebrating Undergraduate Excellence (CUE) is an annual showcase for OSU undergraduates to present their research, scholarship and creative projects. Join us as we recognize students for their academic accomplishments. The 25 Year Club honors those who have provided 25 years of employment service to Oregon State University.